Here is my collection of recipes. 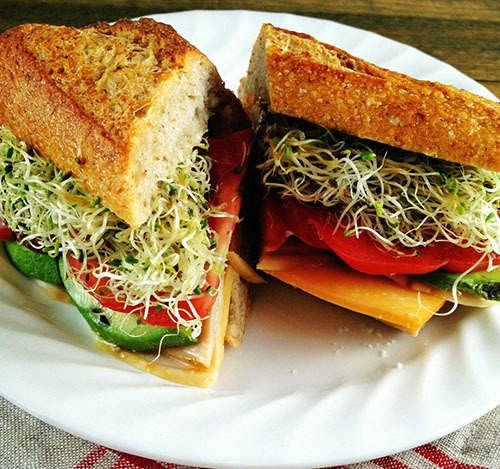 It’s personally tried and tested special dishes of sprouts. So put on your chef’s hat and exhibit your cooking skills! Boil sprouts and potato. Mash it. Don’t boil other veggies just grate it finely. Mix all the ingredients except semolina (Suji/Rawa). Make flat balls out of the mixture and then wrap it in the semolina and shallow fry it. Finally, serve it with chutney or sauce. 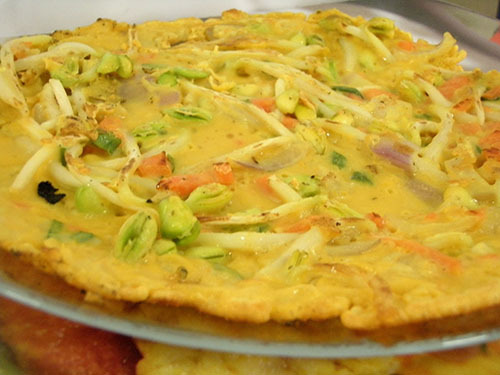 Take mixed sprouts add finely chopped vegetables and all dry spices. Then serve it with coriander and tamarind sauce (chutney). For rolls: wheat flour Indian bread (chapatti) or multigrain flour bread (chapatti). In a big mixing bowl, take sprouts, cottage cheese, Szechuan sauce, sweet and chilli sauce, cheese and salt. Mix them well. Keep it aside. Shallow fry it in the pan. Paneer and Sprouts Szechuan Cigar is ready. 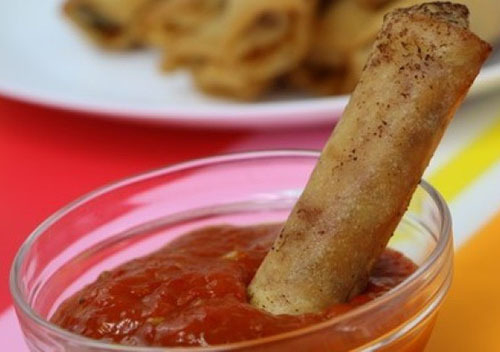 Serve them immediately with spicy sauce. Except for raw vegetable mix, all the ingredients and your filling are ready. Now take bread apply coriander chutney on it and place the above mixture, place then the raw sliced vegetables and close it with the other slice of bread on it and grill it. Serve hot with sauce. Grind sprouts along with steamed Pancake (Idli-dosa) batter, Cumin seeds, garlic, ginger, green chillies along with a little water. Don’t add too much water. For the seasoning, finely chopped onions, green chilli, coriander and curry leaves. Mix with cumin seeds and set aside. 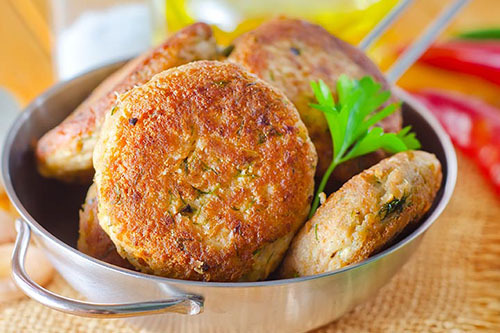 This is an optional step to use as a topping/stuffing for the steamed flat pancakes (dosa). Heat a girdle over medium heat. When it is hot enough, pour a ladle of batter and swirl in a circular motion to spread it. Drizzle very little oil around the dosa. Spread some of the seasonings on the top. The wet surface will help it to stick. Add a few drops of oil over the onions if required or just press with the ladle so that the onions stick to the steamed pancake (dosa) without falling off. Turn it again, fold and remove into a serving plate. Repeat the process to make the required number of flat pancakes. 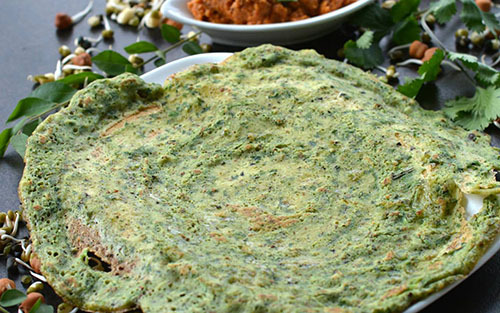 For mixed sprout steamed pancake (dosa) with coriander: Now include generous amounts of chopped coriander to the above batter and grind once again. Make steamed pancakes with this batter following the same process as above. 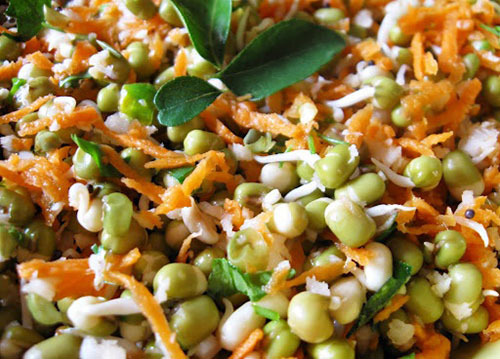 Grated vegetables-carrot, bottle gourd, pumpkin, spinach etc. 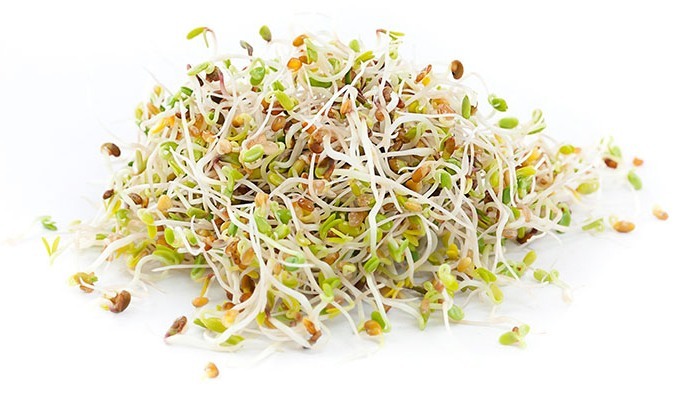 Take a bowl and pour the ground powder of sprouts and all the ingredients and add water to it and make a thin batter. Drizzle very little oil around the pancake. Flip it up and cook it from both the sides. 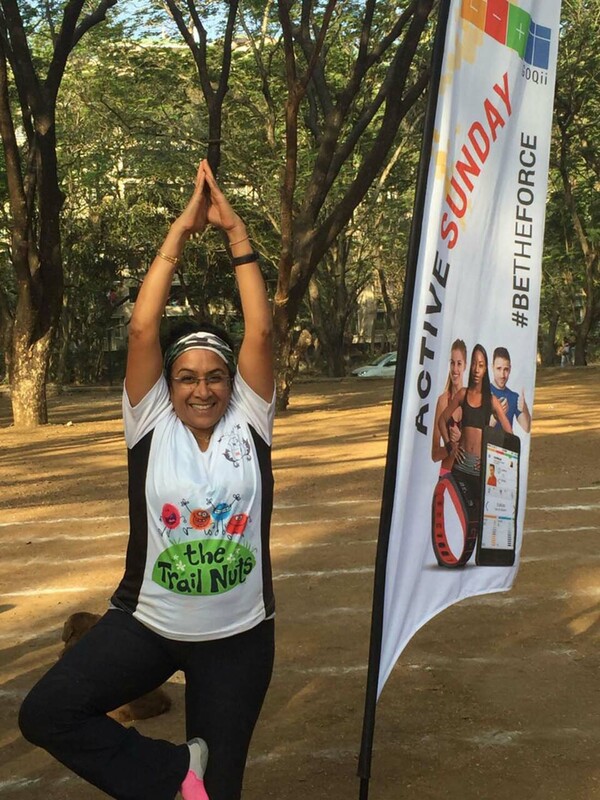 Fatema KhamgaonwalaI has always been passionate about health, both for herself as well as for others. 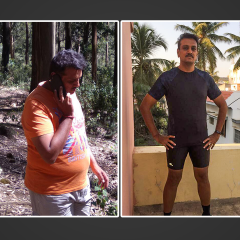 The mantra of this nutritionist is Eat Healthy and Eat Smart, Live Long and Live Strong!. 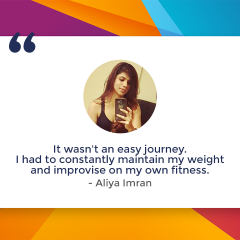 She believes that a healthy body is a symbol of a healthy mind as fitness is not just about having a perfect body but, also a healthy mind. 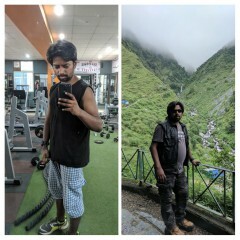 However, one can achieve this fitness only through dedicated exercising, balanced nutrition, and small, but permanent behavioral changes. Wow its just amazing ? Each and every recipe is awesome..